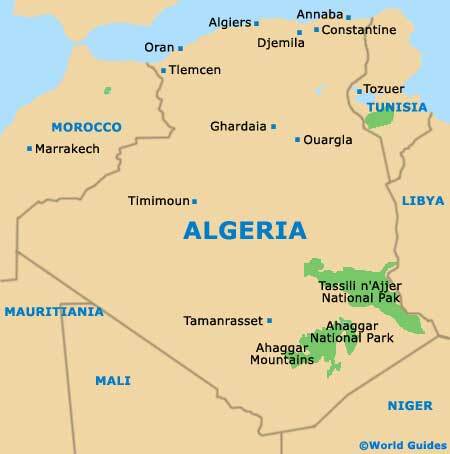 Algiers is the capital city of Algeria, the second-largest country in Africa. 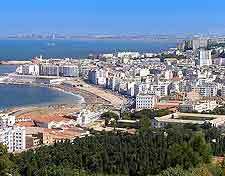 This cosmopolitan city overlooks the Bay of Algiers. It is particularly noted for its white buildings. Indeed, it is familiarly known as 'Alger la Blanche'. The city is often seen by visitors as simply a point of arrival. 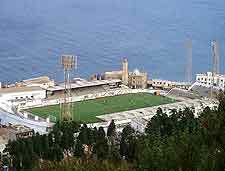 However, it is well worth staying a few days extra in Algiers, so that you can get to know all that this fascinating city has to offer. 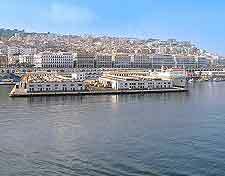 Algiers has at one time or another been a Phoenician, Carthaginian, Roman, Berber and Ottoman Turk city. It has also served as a Barbary pirate stronghold, under the infamous Barbarossa. The arrival of French colonials in the 19th century brought not only a change of government to the city, but also the arrival of European architecture and culture. In modern times, political unrest during the 1990s placed Algiers largely off-limits as a tourist destination. Since the restoration of peace over the past few years, visitors have started to return in greater numbers and tourism has once again become a prevalent industry. Today, Algiers is a lively cosmopolitan city. In terms of population, it has grown rapidly of late. Indeed, the city is now home to over three million people, amounting to around a tenth of the population of Algeria as a whole. Modern Algiers is located in and around the waterfront area of the city. Most of the shops and restaurants can be found in this neighbourhood, which is centred on the Rue Didouche Mourad. The seafront district of Baba-El Oued is home to Kettani Beach, a popular draw for both local families and visitors alike. Most of the foreign embassies and wealthiest residents can be found in the districts located in an area of the city known as the Heights of Algiers. These include Hydra, Ben Aknoun, El-Biar and Bouzareah. Hydra is a particularly fashionable district of the Algeria capital, with an abundance of restaurants and cafes. 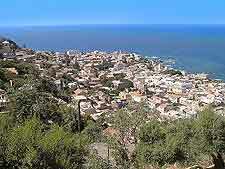 Overlooking the modern town is the ancient Casbah district. This neighbourhood is almost like a small city in itself and never fails to fascinate visitors. Much evidence of the city's rich past can still be found in Algiers' most popular tourist attractions and landmarks. These include the historic Casbah, as well as numerous richly decorated mosques and palaces, and fine colonial style buildings. When it comes to tourism for families, the botanical gardens and zoo are perfect for escaping busy city life. Likewise, visitors to Algiers should try to make time to visit at least a few of the fascinating museums and art galleries.